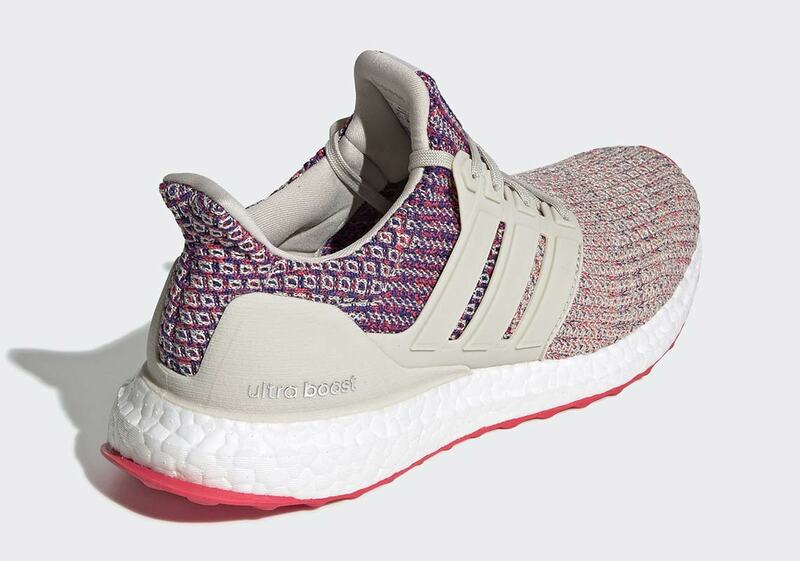 Almost any shoe that features a knit upper is no stranger to being graced by a “Multi-Color” medley of tones — and the adidas Ultra Boost is certainly one of those sneakers, with some of its most recognizable models featuring the colorful construction. Now it’s surfaced in yet another eye-catching multi-color makeup, but one that uses a different palette than most previous releases. 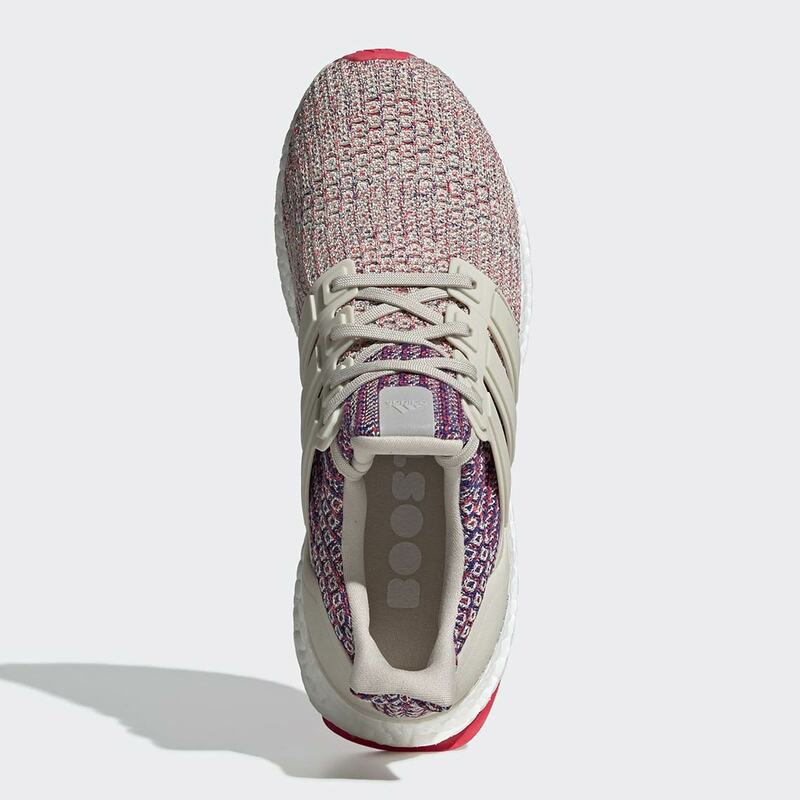 Calling heavily upon both tan and red tones, this new UB’s upper features a two-piece design of sorts: the toebox uses a light multi-color mix with a heavy dose of tan and a tight pattern, while the collar and heel offers a larger arrangement that calls upon much more blue and red, using tan hits for simple accents instead of making it the primary component. 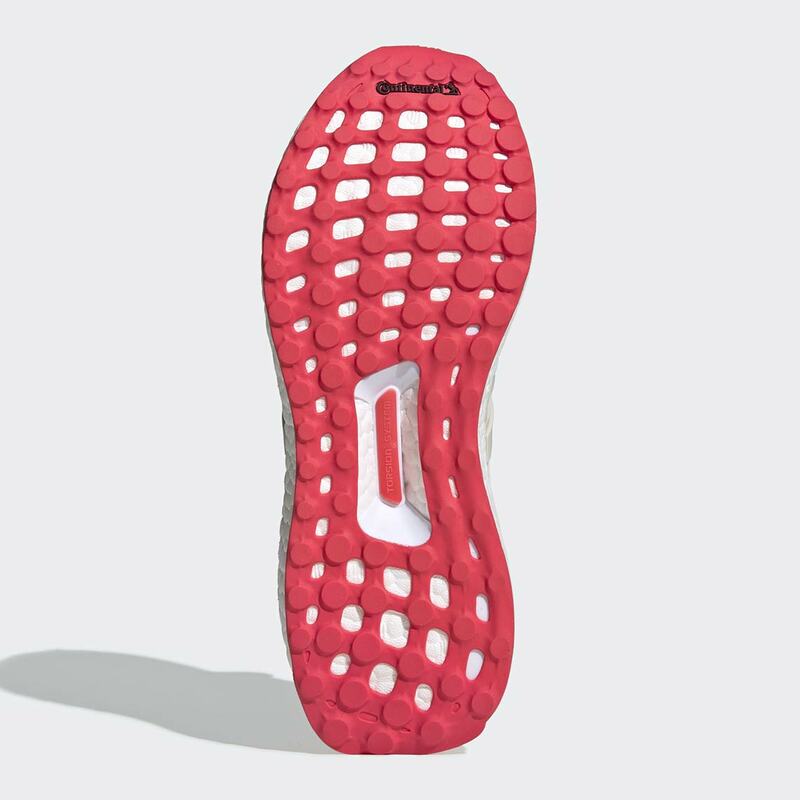 The two pieces are separated by a tan plastic midfoot cage/heel clip, and the look is then rounded off by a white Boost midsole and a reddish-pink Continental rubber outsole. Get a first look at this interesting new Ultra Boost below, and expect a release on adidas.com in the coming weeks for $180 USD. 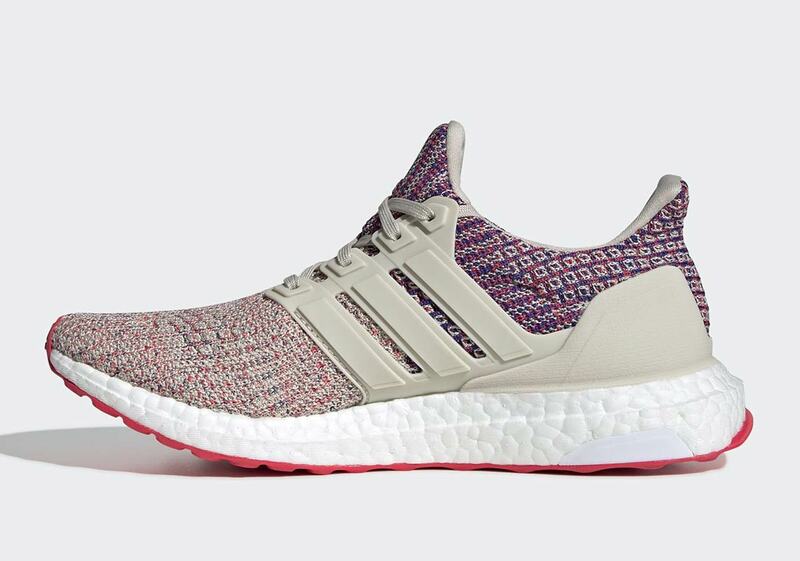 The post Another Multi-Color Take On The adidas Ultra Boost 4.0 Is Dropping Soon appeared first on Sneaker News.